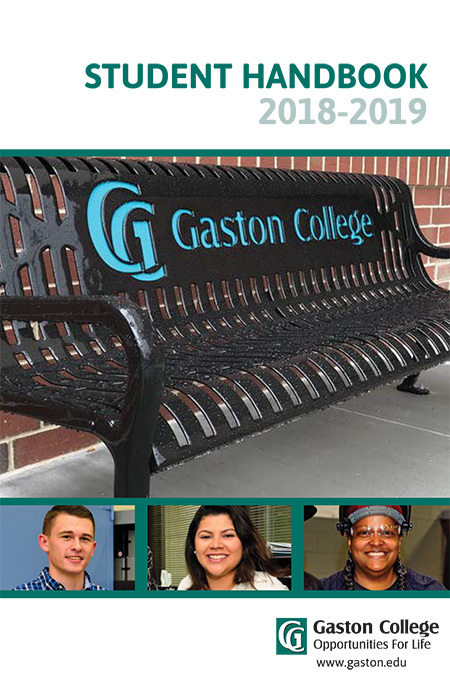 Students who wish to register for curriculum classes at Gaston College must complete a North Carolina Residency Determination Interview and submit an application for admission and meet appropriate admissions requirements prior to registering for a class. Contact the Office of Student Affairs at 704.922.6232 for further information. Once the admissions process has been completed, which may include a placement test and new student orientation, students should meet with an academic advisor or counselor to select classes. Students are eligible to register during the designated registration periods. Payment is due for all classes by a specific date for the upcoming term. See the Gaston College Academic Calendar at www.gaston.edu for a complete list of dates or the Schedule of Classes located on the Gaston College homepage at www.gaston.edu/view-course-schedules/. On-line Registration is available through WebAdvisor found on the Gaston College web site, www.gaston.edu. To access WebAdvisor students must login using their username and password. Login instructions are available online. WebAdvisor is available to returning students at several designated times throughout the year for the upcoming semester. See the Gaston College Academic Calendar at www.gaston.edu for exact dates. To use WebAdvisor, students must have applied for admission, and met appropriate admissions requirements. 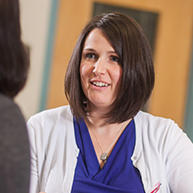 Students are highly encouraged to meet with a counselor or academic advisor. In addition, students should have no outstanding financial obligation, parking fines, or overdue library materials. For further information about WebAdvisor, contact the Office of Records and Registration 704.922.6232. Late registration is held prior to the official start date of the semester. See the Gaston College Calendar or contact the Office of Records and Registration 704.922.6232 for specific dates and times. Students who register or make adjustments to their schedules during the Late Registration period must pay all registration fees the same day as registration. All class registrations and additions must be completed prior to the first class meeting. Once class has begun, no registration is allowed. Students should check with their advisor to make sure prerequisites have been met before adding a class. Students can add a class to their current schedule during designated registration periods. Students may add a class to their schedule prior to the first class meeting. Second chance classes may also be added prior to the first class meeting. During the Late Registration period, fee payments are due the same day that registration takes place. An updated copy of a student's schedule may be obtained through WebAdvisor. Students attending the Lincoln Campus may obtain a copy of their schedule in the Dean's Office of the Lincoln Campus (LC 216). Students attending the Kimbrell Campus may obtain a copy of their schedule in the Enrollment Services Office of the Kimbrell Campus (KCC 116B). Dropping a class is different from withdrawing from a class. To drop a class means a student may be entitled to a 100 percent refund if a student officially drops a class prior to the first official day of the semester. In addition, students may be eligible to receive a 75 percent refund of tuition only if a class is dropped prior to or on the 10 percent point of the semester. During fall and spring, the 10 percent point is within the first 7-10 days. During summer, the 10 percent point is within the first 3-6 days. See the Gaston College Academic Calendar at www.gaston.edu or check with the Office of Records and Registration for the exact 10 percent date. Students may drop a class in WebAdvisor or in person by completing and submitting a Drop form in the Office of Records and Registration. For further information about dropping a class, contact the Office of Records and Registration 704.922.6232. Students who withdraw from a class must obtain a Withdrawal form from the Office of Records and Registration, from the Dean's Office at the Lincoln Campus, or from the Enrollment Services Office at the Kimbrell Campus. The completed form must be signed by the student. An instructor's signature is not required. Students must return a completed Withdrawal form to the Office of Records and Registration by the designated date in the syllabus. There is no refund made for students who withdraw from a class. In addition, students who do not attend classes will receive a grade of "F" unless an official withdrawal form is on file with the Office of Records and Registration. After the deadline date, withdrawals are granted for medical or administrative reasons only. These special circumstances require documentation and the approval of the instructor and the division dean. 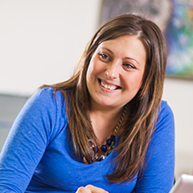 Students receiving financial aid must consult with a financial aid specialist prior to withdrawing from a class. Students are ultimately responsible for the withdrawal process. Students who have not participated in a class for 21 consecutive days will be withdrawn by their instructor through the 70% point and noted by a "WI" grade. After the 70% point, a grade of "F" will be assigned. Gaston College has a long-standing commitment to the protection of students' rights and privacy of information. Gaston College complies with the provisions of the Federal Family Educational Rights and Privacy Act of 1974 (FERPA), state of North Carolina Law, and the State Department of Education Division of Community College rules. These federal and state requirements relate to accessibility and confidentiality of student records. Gaston College policies and procedures manual, section 4-31, Confidentiality and Access of Student Records, provides pertinent and detailed information concerning classification of student records. Students have the right to inspect their educational records and correct such records, if warranted. Students are protected from release of information without written consent (excluding directory information). All student records are open for inspection and review by the student unless he or she waives this right. The parent(s) of a dependent student, as defined in Title 26 U.S.C.S.S. 152 Internal Revenue Code, also has the right to inspect records that are maintained by the College on behalf of the student. Proof of dependency must be on record with the College or provided to the Office of Records and Registration prior to reviewing the records. There are three categories of records: 1) Directory Information Records, 2) Limited Access Records, and 3) Sole Possession Records. Directory Information Records includes the student's name, address, telephone number, major field of study or program, dates of attendance, enrollment status, and degrees and awards received. Gaston College may disclose directory information about a student without the consent of the student unless the student has properly objected to the release. Any student not wishing the release of directory information must file a written request with the Records and Registration Office no later than the last day of Late Registration. This information will only be released by the Office of the Vice President for Student Affairs and Enrollment Management or a designee after the requestor has demonstrated a legitimate need to have such information. Otherwise, the College may disclose directory information for legitimate purposes. Limited Access Records pertain to the permanent academic records of the student, disciplinary records, financial information, and testing data. The College will not release information in Limited Access Records without the written permission of the student. Sole Possession Records pertain to records of instructional, supervisory, and administrative personnel that remain in the sole possession of the maker and are not accessible or revealed to any other person. Gaston College officials with a legitimate educational interest. College officials include faculty, administrators, staff, student employees, third parties or agents authorized to act on behalf of the College. A legitimate educational interest is presumed to exist if the information is necessary for the official to perform tasks that are specified in the position description or contract agreement; to perform a task related to the student's education, discipline, service or benefit such as, counseling, job placement, financial aid, health insurance, community resources, etc. Authorized representatives of the Comptroller General's Office, the Secretary of the Department of Education, and state educational authorities. Persons or organizations providing financial aid. Persons who seek information in connection with an emergency, if in the view of a reasonable person, the knowledge of such information by appropriate persons is necessary to protect the health or safety of the student or other persons. Organizations or individuals conducting studies on behalf of the College or for other educational agencies or institutions for the purposes of developing, validating, or administering predictive test, improving and understanding student services, student aid programs, improving instruction, etc. These studies must be conducted in a way that will not permit the personal identification of students and their families by persons other than the authorized representative of such organizations and the information must be destroyed when the studies have concluded. Military recruiters requesting recruitment information in accordance with the United States Code Title 10 and other pertinent laws. To institutions, authorities, and/or agencies in accordance with federal, state, and local laws, policies, and procedures. Students are responsible for notifying the Office of Records and Registration in writing when a change occurs in a student's legal name. Name Change forms are available in the Office of Records and Registration. Name changes must be accompanied by appropriate documentation such as driver's license, Social Security card, etc. Students may update their address by accessing WebAdvisor or in person. Students who wish to change their major/program must complete a Change of Major form available in the Counseling Center or Academic Department. The form is routed to the appropriate offices and a new academic advisor is assigned if needed. Students receiving financial aid and veterans benefits who change their major should consult with the Office of Financial Aid or the VA representative. Students may obtain an official enrollment verification letter for insurance purposes by accessing WebAdvisor or visiting the Office of Records and Registration. Picture identification is required for in person requests. Requests for official Gaston College transcripts may be made online at www.gaston.edu - click Student Resources - Records and Registration - Transcript Requests or in WebAdvisor. The Transcript Request Form can be completed in person, mailed to Student Records, or faxed to 704.922.2344 in order to process the request. There is a $7.00 fee for each official transcript. Payment may be made online or by calling the Business Office at 704.922.6414. Student copies of their College transcript may be obtained by accessing WebAdvisor. Individuals needing an Adult high School (AHS) or GED®/High School Equivalency transcript can also find information on the Transcript Requests page noted above. Schedules may be obtained by accessing WebAdvisor. 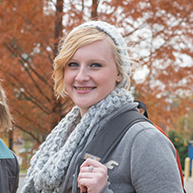 If you are enrolled in 12 or more credit hours, you are considered a full-time student. If you are enrolled in less than 12 credit hours, you are considered a part-time student. If you have financial aid, less than 12 credit hours could cause your aid to be reduced. 9-11 credit hours is considered three-quarter time, 6-8 credit hours is considered half-time, and 5 or fewer credit hours is considered less than half time. If you have student loans and are enrolled as less than half-time, you will not be in a deferred status and will be in repayment. Students from other colleges and universities who wish to take a class at Gaston College in order to transfer the work back to their home institution must complete an application for admission. Students should be prepared to submit official transcripts as proof of prerequisites that have been completed prior to enrolling at Gaston College. 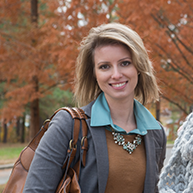 Students who attend Gaston College and wish to take a class at another college or university for credit towards their Gaston College degree must apply and meet admission requirements at the other college or university. Once course work is completed at another school, an official transcript is requested by the student to be mailed back to Gaston College for evaluation of transfer credit. Students who take class for personal interest or improvement are considered a special credit student. They may take up to 15 credit hours of non-degree, certificate, or diploma classes before declaring a major. CCP provides seamless dual enrollment educational opportunities tuition-free for eligible North Carolina high school students, allowing them to accelerate completion of college certificates, diplomas, and associate degrees that lead to college transfer or provide entry-level job skills. Please contact Educational Partnerships at 704.922.6297 or 704-922-2424 for additional information or visit www.gaston.edu/career-college-promise/. * All transfer credits count toward hours attempted, but do not affect the student's grade point average. WI Grade - Withdrawal by the instructor when the Attendance Policy is broken. WI grades count toward hours attempted, but do not affect the student's grade point average. AU Grade - Students who wish to audit courses (see "Audit Process ") must follow the regular registration procedures and declare the audit status to the course instructor. A student who registers for an audit may not receive a grade or credit hours for the course. The fees are the same as for regular college credit. The decision to audit cannot be reversed. AU grades do not count toward hours attempted, and therefore, do not affect the student's GPA. Credit by Exam (CE) - A student may petition the department for permission to seek class credit by examination. Upon the student's successful completion of the exam, the division dean will notify the Office of Records and Registration of the outcome of the exam. A grade of "CE" will be earned as a result of successful completion of the examination. The student may take the examination for a class only one time. Although credits by examination will be applied toward graduation requirements, quality points are not computed for a grade of "CE." Credit. Credit by Examination cannot be earned for classes numbered less than 100 or for courses in which the student earned a grade or was enrolled and did not drop prior to the first day of the class. This includes audits and withdrawals. For further information about credit by exam, contact the Office of Records and Registration. I (Incomplete) - Students who need extra time to complete the objectives of a class because of unusual circumstances such as extended sickness or hospitalization, may receive a grade of "I." This must be agreed upon in advance by the student and the instructor. The instructor will submit a final grade of "I". Course work must be completed by the contracted date agreed to between the student and the instructor. The incomplete grade is not computed in the grade point average. However, if the coursework is not completed by the twelfth week of the following semester, the "I" grade will be converted to a grade of "F". IP (In Progress) - indicates the student has made satisfactory progress toward the completion of developmental course work, but has not completed all of the objectives necessary to progress to the next level. An "IP" grade is not computed in the grade point average (GPA). Students receiving a grade of "IP" will not receive financial aid for the class on the second enrollment. Effective Summer 2013, IP grades are no longer used. Grades preceded by an "R" indicate the class has been repeated. Only the highest grade will be computed or applied toward a degree or diploma. Students must contact the Office of Records and Registration after repeating classes. Grades preceded by an "E" indicate Academic Forgiveness was granted. These classes are excluded in the calculation of the cumulative grade point average. Grades of "S" indicate satisfactory progress in component classes. Grades of "P" indicate satisfactory performance in Developmental Education classes, ACA 111 and MAT 001 and are excluded in the calculation of the cumulative grade point average. Grades of "R" indicate that the student has made satisfactory progress toward the completion of developmental course work, ACA 111 or MAT 001, but has not completed all of the objectives necessary to progress to the next level. These classes are excluded in the calculation of the cumulative grade point average. An average of "C" is defined as a grade point average of 2.00 on all computed grades. The formula for calculating a student's grade point average is: Quality Points divided by Credit Hours Attempted = Grade Point Average. A student's grade point average (GPA) is computed by adding the total quality points for each and dividing that number by the total credit hours for the semester. Quality points are calculated by multiplying the credit hours by the semester quality points. The GPA is then computed by dividing the total quality points by the total credit hours. Please see the example below. Students who wish to receive course credit for competencies acquired through work experience or other non-academic experiences can request Credit by Examination. The student is responsible for requesting credit by examination. The instructor, in partnership with the divisional dean, is responsible for granting or denying the request for Credit by Examination. A grade of "CE" is assigned for successful credit by examination on the student's academic record. Only hours earned for credit are recorded. Credits by Examination will be applied toward graduation requirements, but students must satisfy the graduation requirements related to credit hours completed in attendance at Gaston College. Quality points will not be awarded. A grade of "CE" is not used in computing a student's grade point average. The instructor is responsible for keeping records of the examination and reporting the results, using the Credit by Examination form, to the Records and Registration Office by the third week of class. Credit by Examination cannot be earned for classes numbered less than 100 or for courses in which the student earned a grade or was enrolled and did not drop prior to the first day of the class. This includes audits and withdrawals. No student may request Credit by Examination for more than 18 credit hours. Because of the nature of the Emergency Medical Science program, students enrolled in this program are exempt from the College's policy on maximum "CE" credits. Effective with the Spring 2014 term, a student who wishes to attempt Credit by Examination must meet with the academic department to provide evidence of proficiency in the course in which he/she is requesting Credit by Examination. The Credit by Examination fee is $50 and the student does not need to register for the class. The examination must be administered during the first 10 days of the semester and may be taken only once. A student who receives any type of financial aid should consult with the Office of Financial Aid before attempting Credit by Examination. At the end of each semester, students may obtain their grades online by accessing WebAdvisor at www.gaston.edu. Questions and concerns about final grades are often the result of misunderstandings about grading practices and expected standards. Direct communication between the instructor and the student usually clears up these misunderstandings. It is the responsibility of every student to follow these guidelines to resolve the problem. It is the responsibility of each faculty member and administrator to fulfill his or her role in accordance with these procedures. Students wishing to appeal a grade must initiate the process before mid-term of the semester following the semester in which the final grade was received. 1. Clarification of the overall grading plan for the course, including relative weights of exams, etc. 2. Correction of errors made in grading. 3. Explanation of specific grading questions such as the correct answer to an exam question or the basis for a grade received on a term paper. 1. Department policy on grading for a particular course. 2. Departmental attendance policy or an instructor's approved attendance policy. 3. Questions related to differences in interpretations of approved policies. C. Students seeking further recourse related to a final grade received should make an appointment with the division dean. The division dean should discuss the questions raised with the instructor and the department chair, give the student an official interpretation of the grade, and explain the appeal process. 1. The student should make an appeal in writing to the Vice President for Student Affairs and Enrollment Management stating the sequence of events leading to his or her appeal and any personal interpretations related to the case. This written appeal must be made no later than the mid-term of the semester following the semester in which the grade was received. Contact the Registrar's Office for the official deadline date to file a written appeal. a. Vice President for Student Affairs and Enrollment Management, or designee. b. Vice President of Academic Affairs. d. A faculty member selected by the student making the appeal. e. An instructor selected by the instructor whose grade is being appealed. f. An instructor selected by the President of the Faculty Senate. This instructor should be a member of the Senate from a division other than the one in which the appeal is made. g. One additional instructor may be selected by the Vice President for Student Affairs and Enrollment Management, or designee, if needed, to insure a balanced representation. E. A meeting of the Appeal Committee is scheduled by the Vice President for Student Affairs and Enrollment Management, or designee. This meeting will be scheduled as quickly as possible, but will depend on the schedules of all involved parties. 1. The committee examines the evidence and discusses the case with the instructor and the student. 3. If the instructor does not follow the recommendation of the committee, the President's Executive Council will determine the appropriate course of action. 4. In all cases, the faculty member has recourse through his/her department chair, division dean, and vice president. F. After the Final Grade Appeal Committee has heard the student's complaint, this completes the appeal process for the student. Any student who maintains less than a 2.00 cumulative grade point average after any given semester is placed on Academic Alert. The Records and Registration Office will notify the student placed on Academic Alert, in writing. A student who is placed on Academic Alert must meet with his/her advisor or a counselor in order to develop a plan for improving his/her grade point average prior to registering for future terms. The second successive semester that the GPA is below 2.0 the student will be placed on Academic Probation. A student who is placed on Academic Probation must meet with his/her advisor or a counselor in order to develop a plan for improving his/her grade point average prior to registering for future terms. The third successive semester that the GPA is below 2.0 the student will be placed on Academic Suspension and will not be allowed to re-enroll at Gaston College for one semester. During the period in which a student is placed on Academic Suspension, the student is encouraged to meet with a counselor or advisor in order to develop a plan for improving his/her grade point average. Students who wish to change their major/program must complete a Change of Major form available in the Counseling Center. Students receiving financial aid and veterans benefits who change their major should consult with the Office of Financial Aid or the VA representative. Students who have been academically suspended and who choose to appeal their suspension status can do so by completing the appropriate forms available from the Records and Registration Office. Students are also strongly encouraged to attend one of the Student Success workshops in the Student Affairs division. Information on the workshop dates and the appeal process are available in the Records and Registration Office. All written appeals should include a realistic plan to achieve good academic standing, recognition of the problems that have affected the student's academic progress, and a plan to resolve those issues. If the Academic Suspension Appeal Committee approves the appeal, the student will be allowed to register and continue their enrollment at Gaston College on a probationary basis. Gaston College may require additional requirements as a condition of re-enrollment. Students who have been academically suspended and who expect to receive any type of financial aid must meet with a financial aid specialist to discuss the possibility of having financial aid re-instated as well as to discuss any other conditions that must be met. Any complaints about your academic experiences (other than final grades - see Final Grade Appeal) may be addressed informally or formally. If possible, talk directly to your instructor in a professional, courteous manner about your issue, and make a good faith effort to resolve the issue. If this approach does not work to your satisfaction, you may wish to make a formal, written Academic Complaint. The Academic Complaint Form is located in Appendix I, and you may also obtain a copy from an administrative assistant in any dean's office or in the online version of the Student Handbook at www.gaston.edu. The form asks you to put your complaint and your proposed resolution in writing, and it guides you through the process. It is recommended that you try to resolve the issue at the instructor level, but you may need to start at the department chair level if you are unable to start with the instructor. If you inappropriately attempt to register your complaint to a higher administrator at Gaston College, you will most likely be directed to follow the Academic Complaint process through the proper channels unless you have an urgent issue of health, safety, or welfare that warrants immediate attention. Please see Appendix H for further details. The Academic Forgiveness Policy allows Gaston College students who have experienced academic difficulty at Gaston College to have one opportunity to have grades below a "C" excluded from the cumulative grade point average (GPA). Academic difficulty is defined as less than a 2.00 cumulative grade point average at Gaston College. This policy provides for raising the cumulative grade point average by excluding all grades of "D" or "F" earned prior to the date of eligibility for Academic Forgiveness. A student may be granted Academic Forgiveness only once. For a complete list of criteria, benefits and provisions of Academic Forgiveness visit the Office of Records and Registration. Completed forms should be returned to the Office of Records and Registration. Once this office receives the form, it is forwarded to the appropriate divisional dean for review. The College has the right to dismiss a student in violation of academic regulations or policies. Dismissal from Gaston College for academic reasons may be initiated by a faculty member, department chair, division dean, or the student's advisor upon petition to the Vice President who administers the program. Academic dismissal is based upon the concept of "Satisfactory Progress" in a specific course or program as stated in terms of minimum grades; completion of course sequences; and the achievement of certain knowledge, skills, and abilities. The department head and divisional dean shall document violations and submit the case to the Vice President. The student shall be given the chance to appeal the violations with the Vice President before a decision regarding dismissal is rendered. When the Vice President completes the investigation, the student will be informed of the decision in writing. The decision of the Vice President is final. Students may petition for re-admission after one complete semester with approval of the divisional dean and Vice President (Vice President only for Public Safety programs). For academic programs of study that have a technical/vocational focus, if the department chair, program coordinator and/or faculty determine that a student is not a safe and dependable practitioner in the lab, shop, clinic, or field area in the progress of a course, the student may be dismissed from the program. The recommendation for dismissal is made with the concurrence of the Dean for curriculum programs or the Vice President for Economic and Workforce Development for continuing education programs who administers the program. By virtue of the fact that certain courses of many occupational programs are offered in a one- or two-year sequential pattern and are offered only once during the sequence, a student has no opportunity to repeat one of these courses or to elect a substitute course. Therefore, a student who fails one of these courses will be dismissed from the program at the end of the semester in which the failure occurs. The department chair, program coordinator and or faculty along with the Dean for curriculum programs or the Vice President for Economic and Workforce Development for continuing education programs shall document violations and submit the case to the Vice President of Academic Affairs. The student shall be given the chance to appeal the violations with the Vice President before a decision regarding dismissal is rendered. When the Vice President completes the investigation, the student will be informed of the decision in writing. The decision of the Vice President is final. Students dismissed from an occupational program under this policy may petition for re-admission in a later class with approval of the academic divisional Dean or the Vice President for Economic and Workforce Development for continuing education programs and the Vice President for Academic Affairs. A student may repeat a class to attempt to raise his/her grade point average. The original class must be taken at Gaston College and be repeated at Gaston College in order to honor the repeat policy. When a class is repeated, both classes will remain on the academic record, but only the highest grade is used in computing the grade point average. Students may repeat a class for credit no more than three times within a five-year period. Counting the first attempt and three repeated attempts allowed by policy, a student may take the same class a maximum of four times. A student may not re-enroll in a class in which credit by exam (CE) has been awarded. Please note the Course Repeat Policy may be different in health related programs. For those specific requirements, please refer to that health program handbook. President's List - A full time student achieving a grade point average of 4.0 for the semester for 12 or more semester hours with no grade of I, CE, WA, WI, AU will be recognized on the President's List. Dean's List- A full time student achieving a grade point average of 3.5 - 3.99 for the semester for 12 or more semester hours with no grade of I, CE, WA, WI, AU will be recognized on the Dean's List. Honor's List - A part time student enrolled for six to eleven credit hours achieving a grade point average of 3.5 or above for the semester for 6-11 semester hours with no grade of I, CE, WA, WI, AU will be recognized on the Honor's List. For more detailed information regarding transfer credit, please refer to the 2018-19 Gaston College Catalog. College credit is awarded to students who achieve a score of "3" or higher on an AP (Advanced Placement) exam administered by the College Board. Scores older than five years are not considered for transferred credit. In order to have scores reviewed, students must request an official score report to be sent to Gaston College from the College Board. Our CB code is 5262. For further information about how to request a score report, visit the following Web site: http://www.collegeboard.com/ap/students/exam/grades.html. In order to receive articulated credit (or college credit) for high school courses, students must receive a final grade of "B" or higher in the designated high school course, receive a score of 93 or higher on the standardized Career and Technical Education (CTE) post-assessment, and must enroll at Gaston College within two years of their high school graduation date. The official high school transcript and all official standardized CTE post-assessment scores must be received by the Office of Records and Registration to be considered for college credit. For further information on the North Carolina High School to Community College Articulation Agreement, please contact the Office of Records and Registration at 704-922-6232. The North Carolina High School to Community College Articulation Agreement is honored by Gaston College. As outlined in this agreement, high school students have an opportunity to earn college credit for specific courses taken in high school. 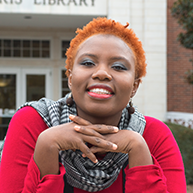 A transfer credit evaluation is provided for each student with prior college work once an application for admission has been filed with the College. All official transcripts from each college/university attended must be received. Students must earn at least 25% of their semester credit hours class work at Gaston College in order to receive a degree, 50% of required major courses to receive a diploma from Gaston College, and 75% of semester credit hours required for a certificate. For more information regarding transfer evaluations please contact the Office of Records and Registration at 704.922.6232.
Credit is given to those that have passed the National Registry of Emergency Medical Technicians (NREMT) cognitive and practical examinations and received National EMS Certification as an EMT. These students must provide a letter from NREMT stating that they have passed their certification along with their NREMT certification card. Upon receipt, the EMS Department Chair reviews their course work for credit to be accepted by Gaston College. Credit is given for those that complete the Massage Therapy Certificate containing 617 hours as well as passing the Massage and Body Licensing Exam (MBLEX). Students that meet these criteria are awarded credit for MTH 110, MTH 120, and MTH 125.
Credit is given to those who complete the ServSafe Certification. Students who meet these criteria are awarded credit for DET 115.
Credit is awarded based on the Guide to the Evaluation of Education Experiences in the Armed Services. Requirements for the degree, diploma, or certificate will vary according to the curriculum. Students should refer to their particular program requirements. A 2.00 grade point average is required for graduation from Gaston College. Students must earn at least 25% of their semester credit hours class work at Gaston College in order to receive a degree, 50% of required major courses to receive a diploma from Gaston College, and 75% of semester credit hours required for a certificate. Certificate information may be obtained in the divisional dean's office. Courses numbered less than 100 do not count for graduation credit. Obtain a current Student Copy of your transcript (WebAdvisor) along with an Application for Graduation from the Office of Records and Registration. Present the application to your divisional dean's office with the Student Copy of your transcript. Pay the $45.00 graduation fee in the Business Office (Myers Center 1st Floor). Order your cap and gown online or visit the Bookstore for assistance. Submit your completed application to the Office of Records and Registration by the designated deadline (Myers Center 2nd Floor). See the Gaston College Academic Calendar at www.gaston.edu for deadline information. Gaston College recognizes excellent scholarship by designating the status of "Honors" or "High Honors" to selected graduates receiving associate degrees or diplomas. To be eligible for graduation with "Honors," a student must have a cumulative grade point average of 3.500 or above, but below a 3.800 on all work completed by the end of the semester prior to graduation. In order to be eligible for graduation with "High Honors," a student must have a cumulative grade point average of 3.800 or above on all work completed by the end of the semester prior to graduation. Students who receive "Honors" or "High Honors" will receive an Honor cord to wear at the graduation ceremony. In addition, there will be a designation of the Honors status on the student's actual diploma. Many local area newspapers run a list of the "Honors" and "High Honors" graduates. This information also appears on the Gaston College web page. Honors designations, however, do not appear on the Gaston College transcript. A student who is in continuous attendance (summer semester excluded) may graduate under the provisions of the catalog in effect on his/her date of entry provided the courses are still offered or he/she may choose to meet the requirements of a subsequent issue. A student not enrolled for a period of three consecutive semesters (one year) must reapply and graduate under the provision of the catalog in effect at that time, unless otherwise mandated by accrediting agencies or governing bodies. A student who changes programs must meet the requirements of the catalog in effect at the time of the change of program.